Introduction/skill development During this first term students will learn about various drama techniques including freeze frames and mime. We will then move on to explore devising strategies and we will be using various stimuli to create performance work from. This will include photographs; objects and scripts to name a few. Homework: There will be one homework set every half term and this will usually be a creative task to help consolidate classroom learning. H1 – poster task. H2 – script task. During term two we will be exploring different styles of drama. We will be focusing on silent movies and melodrama. Students will continue to develop their devising skills through this unit and be expected to use various sources to create their work. Homework: There will be one homework set every half term and this will usually be a creative task to help consolidate classroom learning.H1 – research task. H2 – design task. The third term focuses on script work. This will form two assessment types as there will be a short scripted performance in class and a short written assignment on the details of the play. Homework: There will be one homework set every half term and this will usually be a creative task to help consolidate classroom learning.H1 – script task.H2 – design task. Year 8 starts with exercises to develop strength and focus and then moves quickly onto improvisation and devising skills. Through the term we will be using various sources to help create a piece for class performance, these will include photos, objects, dice and scripts. We will also start investigating different types of staging and how that impact on the audience experience. Homework: There will be one homework set every half term and this will usually be a creative task to help consolidate classroom learning. H1 – design task. H2 – design task. In the spring term students will start to look in more detail at the theatre practitioner Stanislavski and they will be learning about his various techniques through script work. As the term goes on the focus will shift to Costume design and the students will learn about the importance of design, the factors that needs to be considered and how to create simple costumes. Homework: There will be one homework set every half term and this will usually be a creative task to help consolidate classroom learning.H1 – Script task. H2 – research task. The last term will focus on script work again but this time with a different focus. Rather than just looking at the performance aspect students will start to engage with issues and think about how to create atmosphere through both performance and design. At the end of the unit will be a short written assignment to assess their understanding. Homework: There will be one homework set every half term and this will usually be a creative task to help consolidate classroom learning. H1 – Line work. H2 – revision task. At the start of year 9 students will spend some time looking at various drama techniques. They will then start using a script as a springboard to a devised practical piece. Students will start to explore how to get serious messages across in theatre. Homework: There will usually be one homework set every half term and this will usually be a creative task to help consolidate classroom learning. H1 – Research task. H2 – Self set task. In this term students will focus on the techniques of a theatre practitioner. They will look in detail at Brecht and how his methods work. They will look at scripts as well as his theories and his ideas on set design. Homework: There will be one homework set every half term and this will usually be a creative task to help consolidate classroom learning. H1 – Script task. H2 – Design task. 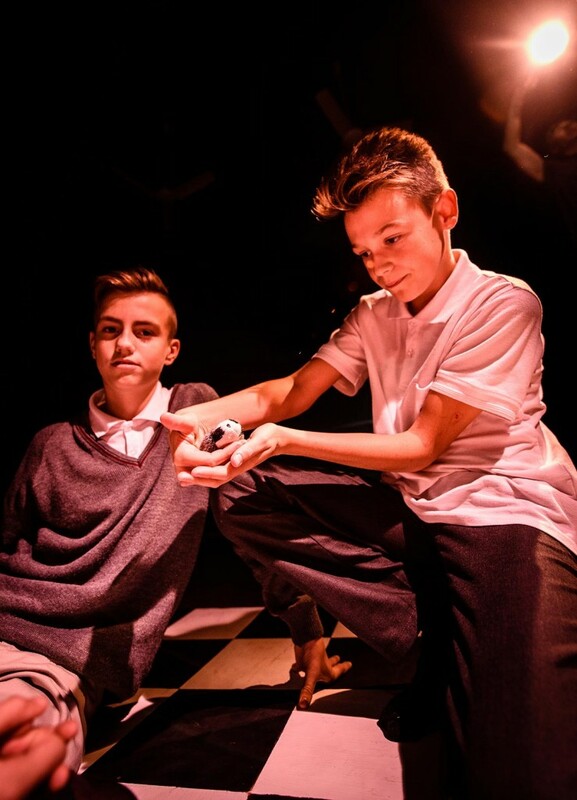 During the final term of KS3 students will be studying a script in detail. They will perform extracts from the script and complete a written assessment on the script at the end of the term. Year 10 will mirror the work that will be completed in the terminal assessments in year 11. Term one will focus on devising work and we will use the set text as our stimulus for this. Year 10 will mirror the work that will be completed in the terminal assessments in year 11. the term will start with a mock controlled assessment based on the work which they completed in the previous term. Then students will be given script extracts to learn and develop. Year 10 will mirror the work that will be completed in the terminal assessments in year 11. This term will start with a performance of their scripted work and a re-cap on the set text. The second half of the term will be the start of their final projects. They will be given the exam board stimuli and they will start to create their final devised project. This term will be a continuation of last terms practical work which will be performed and assessed before October half term. The second half of the term will be focused on completing the controlled assessment and doing more written exam prep (including a mock). This term will start with another recap over the set text for the written exam. Students will then be given scripts to learn and prepare for performance. This term will start with the performance of their scripted work in front of a visiting examiner. Once this is complete the remainder of their time will be spent doing final preparations for the written exam.